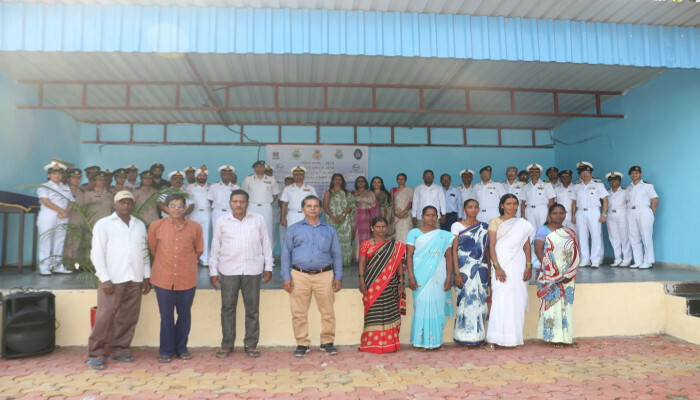 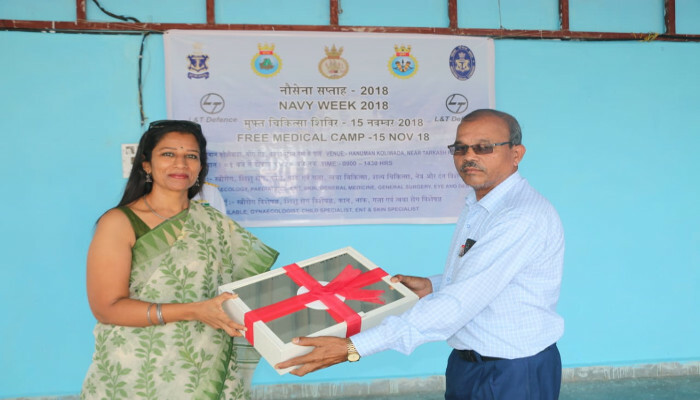 As part of Navy Week activities, a medical camp was conducted at Nagarpalika primary school of Hanuman Koliwada village on 15 November 2018 by Naval Station Karanja. 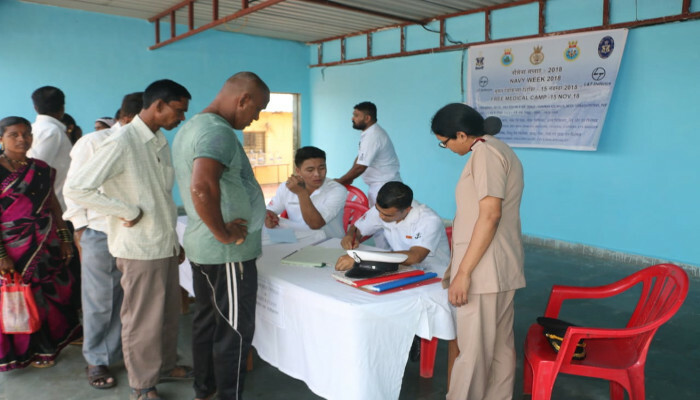 The aim of the medical camp was to provide 'One Time' specialist consultation and possible treatment to village folk residing around Mora village. 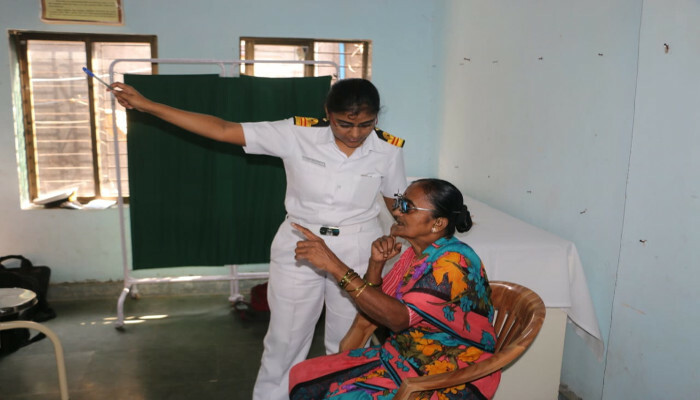 Emphasis was laid on early detection of cases of Ischemic heart disease, hypertension, diabetes and cancer. 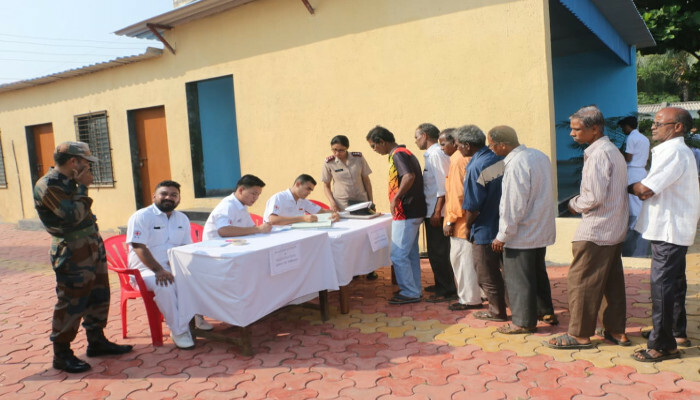 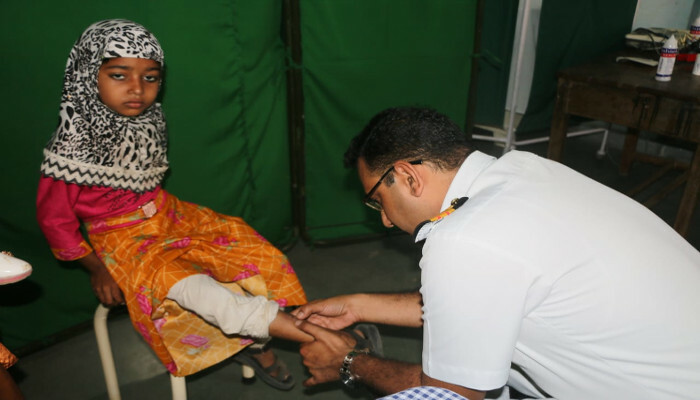 The medical camp was inaugurated by Executive Officer INHS Asvini and specialists in Medicine, Gynaecology, Paediatrics, Dermatology, ENT, Surgery, Dental and Ophthalmology attended to 812 locals. 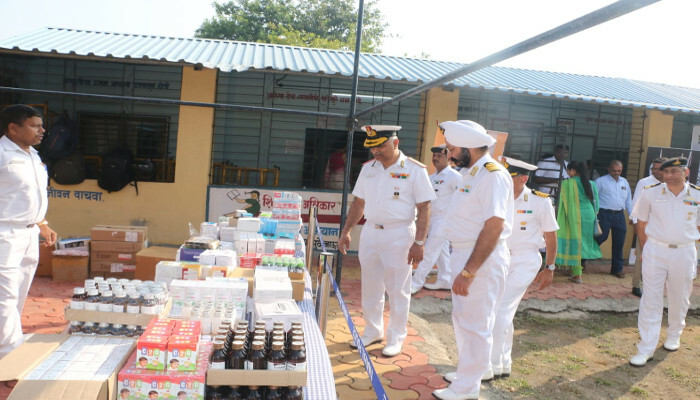 A first aid box was also presented to the school by President NWWA Karanja.